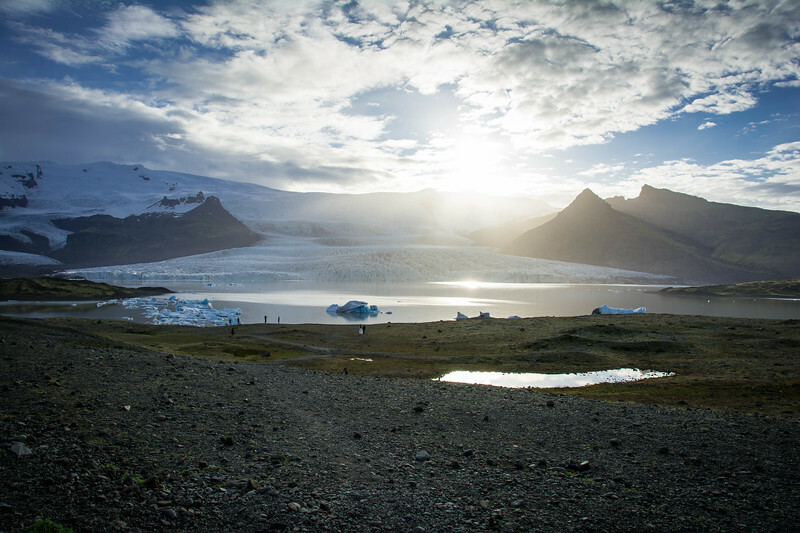 Why Fjallsarlon Glacier Lagoon is an Amazing Natural Attraction? 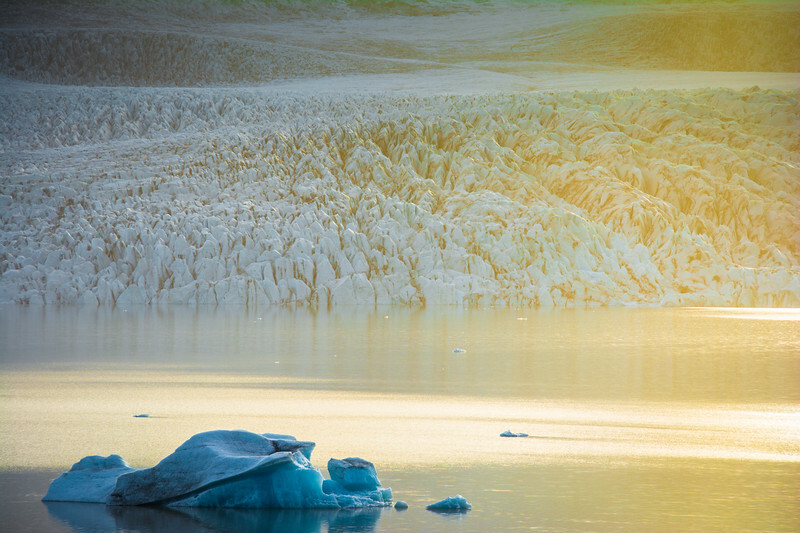 Home Iceland Why Fjallsarlon Glacier Lagoon is an Amazing Natural Attraction? When it comes to finding the best things to do in South Iceland, you could be forgiven for thinking that this involves waterfalls such as Skogafoss and Seljalandsfoss or perhaps the distinctive black sandy beaches in Vik. But if you head further along the southern Icelandic coast, you will reach a spot that is famous for being home to an amazing landscape of glacial bliss. 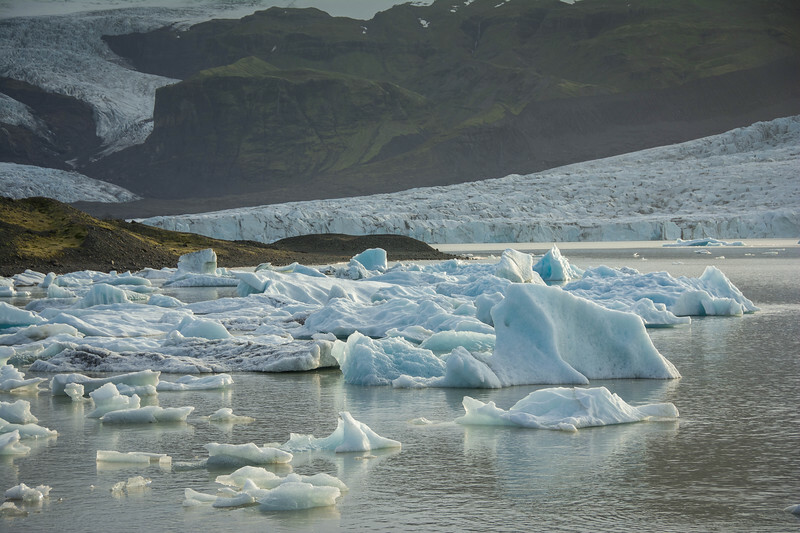 Jokulsarlon Glacier Lagoon is undoubtedly an attraction you won’t want to miss along with the infamous “ice beach” where you can find gorgeous remnants of glacial ice that float out into the ocean. But wait…there is more! 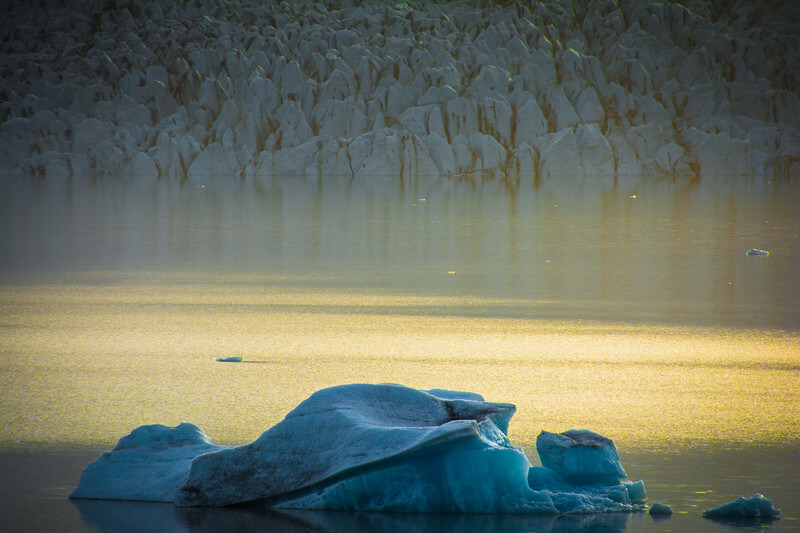 In the shadow of Jokulsarlon is yet another breathtaking natural attraction – Fjallsarlon Glacier Lagoon! If you think about destinations around the world that are spoiled for untouched natural landscapes, it’s hard to imagine that anywhere but Iceland will be at the very top of most lists. 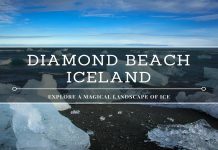 It’s true, Iceland really is spectacular and honestly, it’s so much more than just the infamous nickname, “The Land of Fire and Ice!” Let’s embrace this name though and focus our attention on ice because it’s fair to say, that’s what most “newbies” heading to Iceland will likely associate with this nation. During our epic 7 day Iceland road trip where we visited all corners of the Icelandic nation, our final stretch saw us spend several hours at the base of the Vatnajökull glacier. 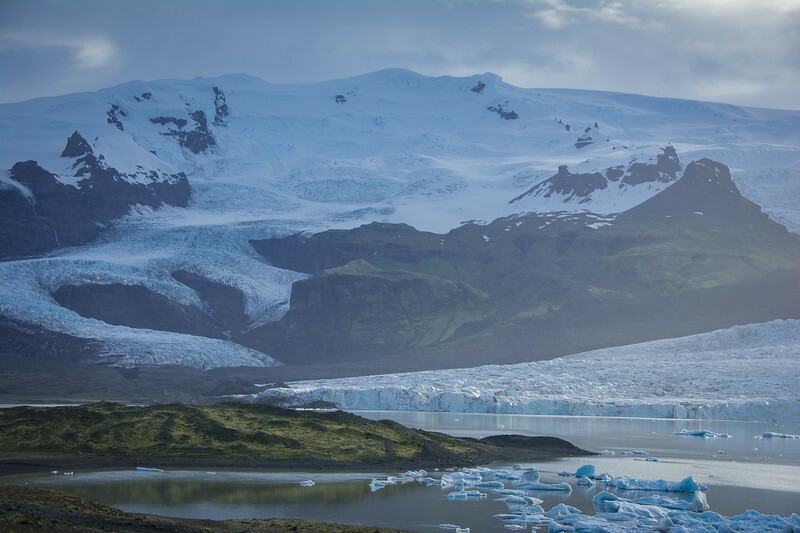 The majestic sight of both Jokulsarlon and Fjallsarlon glacier lagoons at the south end of the Vatnajökull glacier ensures that everyone visiting this part of Iceland has an opportunity to admire the power of ice (and nature in general) at work. 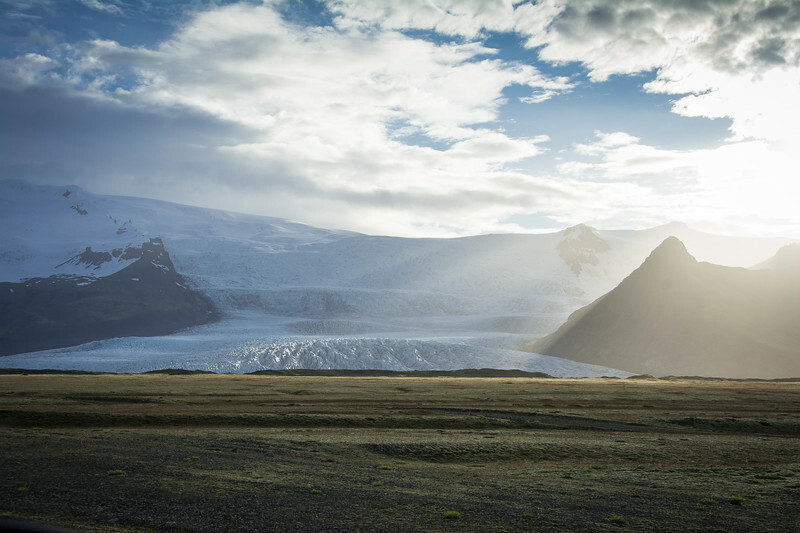 Vatnajökull is the largest ice cap in Iceland and the third largest glacier in Europe. Given that it covers 8% of Iceland, it’s fair to say that this natural phenomenon has a pretty important impact on the landscape and when you visit Fjallsarlon, you will quickly realize the vast size of this glacier. 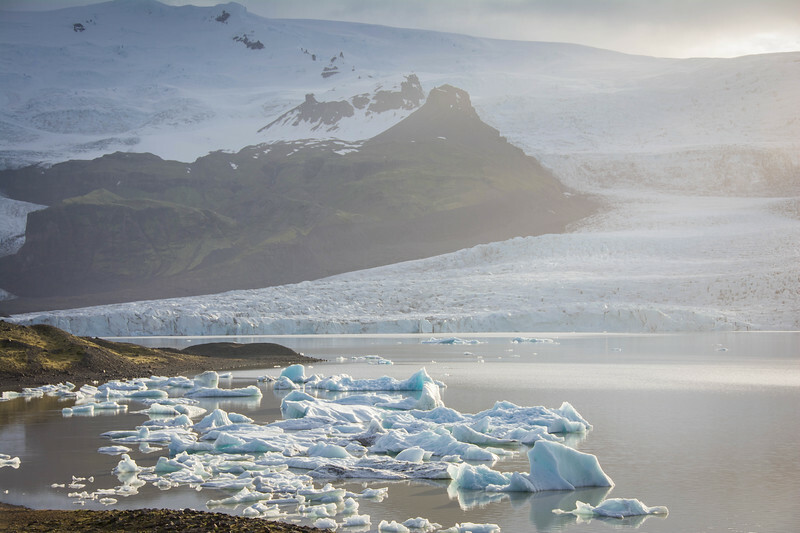 Vatnajökull National Park offers visitors a unique opportunity to experience the connection between volcanoes and ice…in other words, identify exactly why Iceland is known as the Land of Fire and Ice. Where is Fjallsarlon Glacier Lagoon? 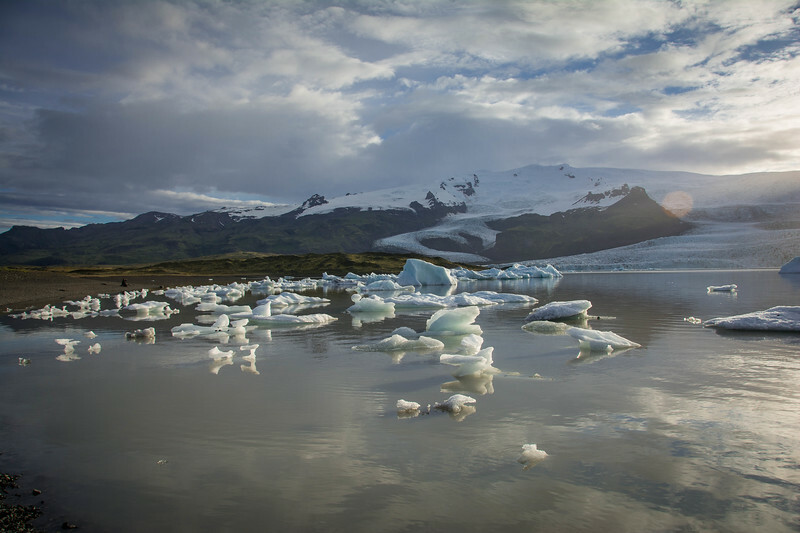 Both lagoons are easily accessible but we want to focus our attention on finding out why Fjallsarlon deserves as much of your attention as Jokulsarlon. Let’s start by taking a look at exactly where Fjallsarlon is located in Iceland. If you are planning a road trip around the ring road as we did, it’s fair to say you cannot miss this area. However, I will rephrase that by saying it’s difficult to miss Jokulsarlon but it’s much easier to just drive by Fjallsarlon without noticing it. 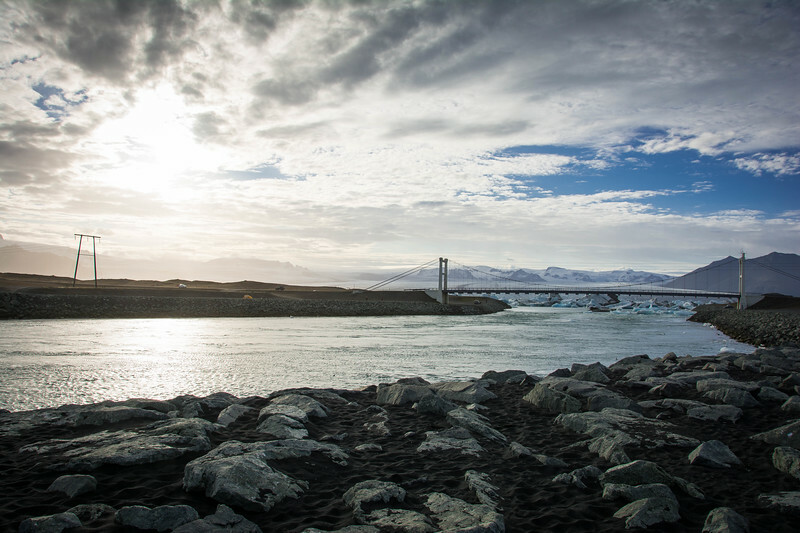 After parking your vehicle, be prepared to take a short trail to a viewpoint overlooking the glacier lagoon. I promise you, nothing will prepare you for the sight when you cross the summit because it truly is a breathtaking sight. I want to reiterate that the lack of tourists, unlike most other tourist spots around Iceland will likely make you think that Fjallsarlon isn’t worth visiting but ultimately this will be your loss if you choose to miss this spot. The gravel trail leads you down to the edge of the glacier lagoon and it is when you reach this point that you really begin to appreciate the power of ice. We were incredibly fortunate to visit Fjallsarlon at a time when some glacial carving was taking place and it’s not just the sight of this taking place but also the sound that makes you realize how powerful nature can be. From floating icebergs to the towering glacier above the surrounding mountains, this Icelandic landscape is a real gem that you won’t want to leave. 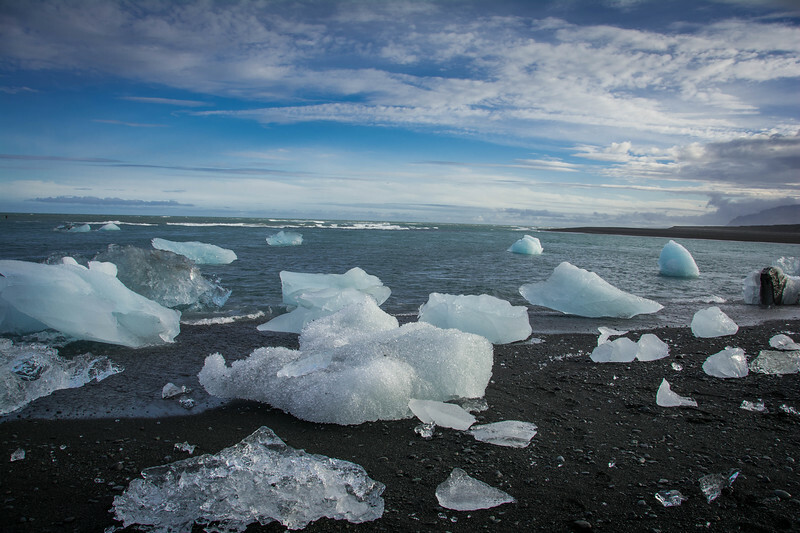 We enjoyed exploring the banks of the glacial lagoon and were incredibly fortunate to be stood there at the moment when it sounded like an earthquake was taking place. When the ice calving from the Vatnajökull glacier started, we immediately noticed the glacial water starting to get a little choppier. For those of you looking to experience a little more up close and personal adventure with Fjallsarlon Glacier Lagoon, why not take a 45-minute iceberg safari onboard a Zodiac boat. 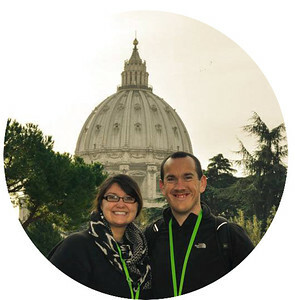 This experience is the ultimate adventure but at the same time offers a thoroughly informative tour where you can learn everything about glaciers and iceberg formation. The benefit of taking a smaller boat around the lagoon is that you can meander your way around the icebergs and get relatively close to the edge of the glacier. Be prepared for ice calving to take place at any time and as I mentioned, the sound and sight of this is equally breathtaking! After an epic adventure onboard the Zodiac boat, why not head inside the Bistro cafe to enjoy a coffee or sample typical Icelandic cuisine such as lamb meat soup. 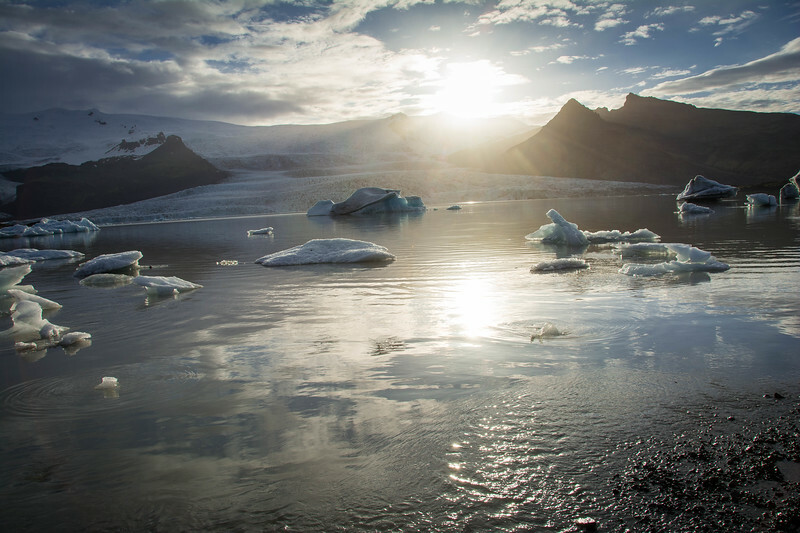 Fjallsarlon is arguably even more spectacular than the infamous Jokulsarlon Glacier Lagoon. Our recommendation is to visit both landscapes to appreciate the beauty of both because each one offers a unique perspective on the power of ice. I want to reiterate that anyone visiting Iceland will be spoiled for choice when it comes to natural beauty but it would certainly be remiss of you to avoid Fjallsarlon. I have to admit, after we left Jokulsarlon our intention was to drive straight through to Vik but the moment we noticed the sign for Fjallsarlon we decided to take some time to check it out…I am sure you will agree from our pictures that this was one of the best decisions of our Icelandic adventure! 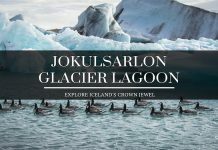 Have you visited Fjallsarlon or Jokulsarlon before? What other Icelandic attractions have you visited that are “less well known” but equally spectacular as their more infamous counterparts? 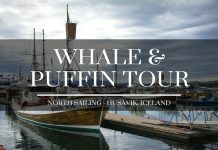 How to Enjoy an Amazing Whale and Puffin Tour in Iceland?